The “Rauhnächte” are the longest and roughest nights of winter. They either mean the 12 nights following the winter solstice, or simply all the cold dark nights leading up to the winter solstice. During this time the ground is frozen, icy storms sweep over the land and evil spirits are believed to rise up from the underworld as the “Wild Hunt” would wreak havoc on earth. People feared these nights, associating them with death and sickness. Sick and old people were at a higher risk to pass away, and while the living would pass, the dead were feared to return. This unruly time of winter was also connected to a reversal and sacrifice of power and life in different forms. The Roman “Saturnalia” and the Norse “midvinter blót” shall serve here as examples. The sorcerer makes use of these baneful currents, by channeling and redirecting them. The “Cursing Seal of Winter” is inspired by these phenomena. The sigil’s basic shape follows the symmetrical growth pattern of a snowflake. It has been constructed according to the rules of Euclidean geometry, using a ruler and compass. It is then burnt on black alder wood, since black alder is associated with baneful magic and the dark dead, which it governs. 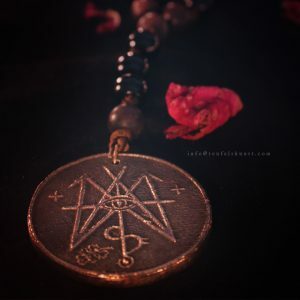 The idea behind the seal is to combine a number of thorns from the blackthorn tree (Prunus spinosa) in curse work and to bundle and multiply baneful currents in ritual. Six or seven thorns or any number of your choice are charged ritually and then used to attack the target. 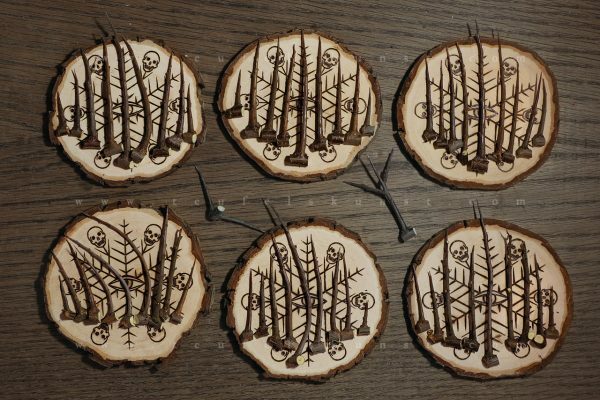 The sigil disc serves as a central focus point or accessory in baneful ritual work. A ritual instruction is included with the set. 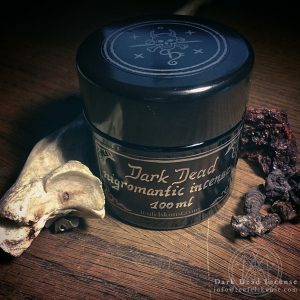 The incense blend is fittingly composed of baneful herbs, ritually harvested, by observing the nights and hours of Saturn and Mars. It further contains ingredients gathered after a series of devastating autumn and winter storms. The ingredients are chosen based on their magical properties as well as their botanical features and form of growth. 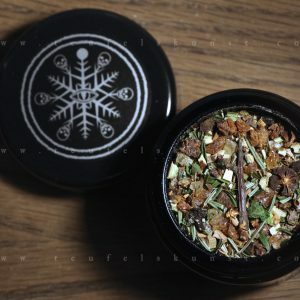 Use the disc and incense blend where- and whenever you aim to establish and direct baneful currents, curse an enemy or want to return a curse and send it back multi-fold to its sender. 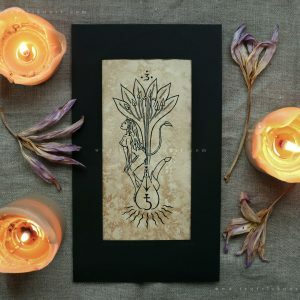 It can also establish and strengthen a powerful magical shield around oneself and assist in working ritually with the “Isa” rune or winter and underworld related deities such as “Holda” and “Hel”. NOTE: The last set is available for a reduced price since the cardboard box has a small dent on the box lid.